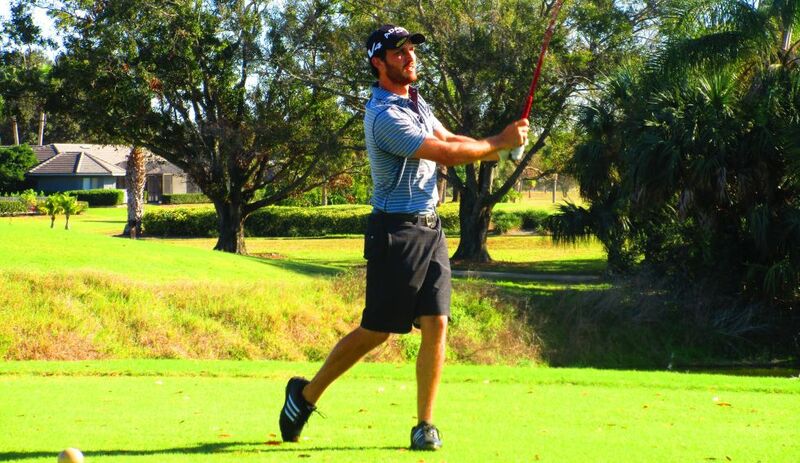 PALM CITY, Fla. – Jimmy Lytle of Ocean Ridge, FL, the Minor League Golf Tour’s career leader in both victories and earnings, added to both totals Thursday as the Jupiter-based mini-tour opened its 14th season at Martin Downs Country Club. 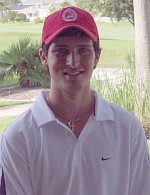 Lytle fired a six under par 65 on the Osprey Creek course, scoring seven birdies and a bogey to win by a stroke. After a bogey and birdie at the third and fourth holes, Lytle turned in 35, then made six birdies on the inward nine. An MLGT regular since July, 2006, Lytle, 30, collected $675 from the $3,275 purse. He had entered the season with career totals of 57 wins and $210,158. Second among 26 entries in the MLGT’s 1,428 event since August, 2004, was Jonathan Garrick of Atherton, CA, who shot 66 with six birdies and a bogey. Garrick earned a total of $813 with $530 from the main purse, $223 from an optional bonus pool and $60 from the skins game. Play resumes with three 18-hole tournaments next week: Monday at Jacaranda GC, Plantation, Tuesday at Abacoa GC, Jupiter, and Thursday @ West Palm Beach Municipal GC.